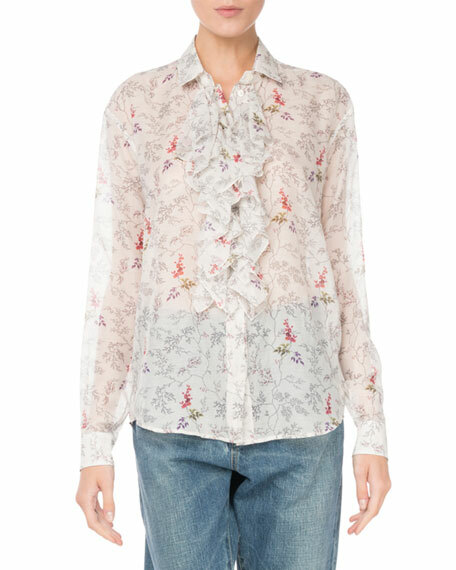 Saint Laurent floral-print voile blouse. Spread collar; button front; ruffle trim. 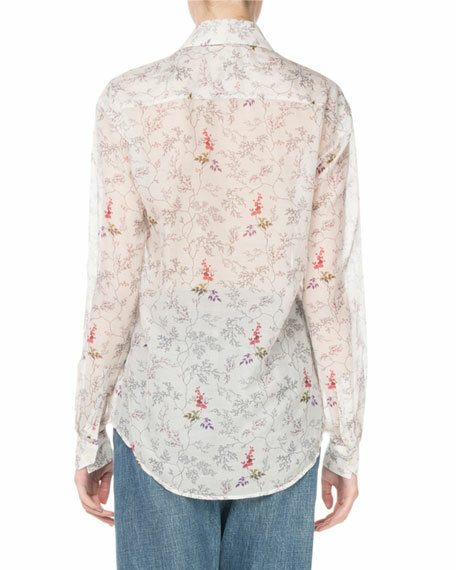 Akris blouse in pintucked cotton voile. 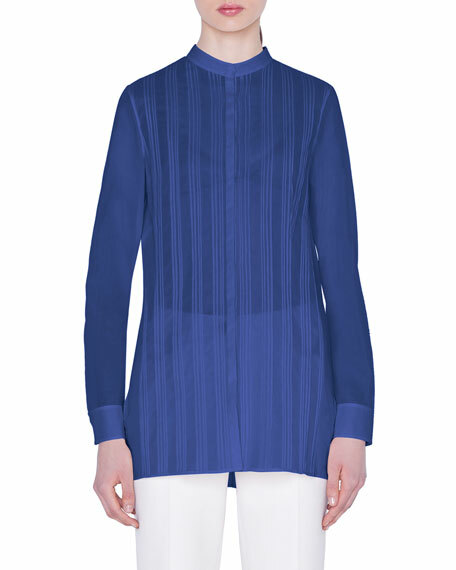 Mock neck; covered button panel. Long sleeves with barrel cuffs. Side slits. Fitted. Cotton. Made in Switzerland. Fit note: Model is 5'10"/177cm and wears size US 2/S. 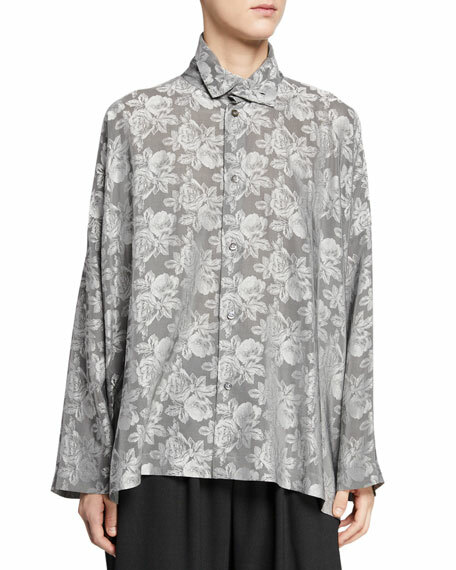 Eskandar shirt in floral print silk twill. 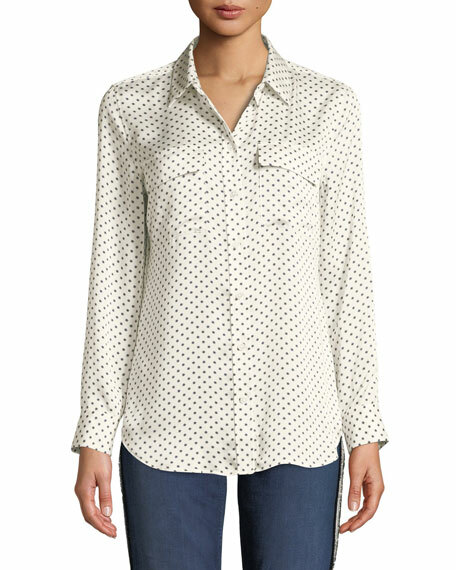 Scrunched spread collar; button front. Long sleeves. Dropped shoulders. Oversized fit. High-low hem. Silk. Made in Poland. 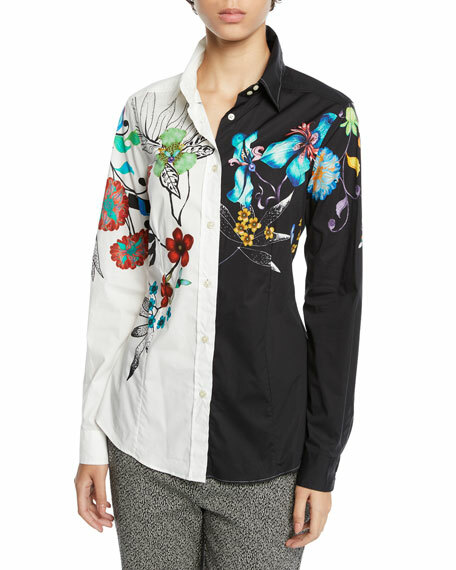 Etro blouse in two-tone stretch poplin with floral print. Spread collar; button front. Long sleeves. Semi-fitted. Shirttail hem. Cotton/spandex. Made in Italy. Model's measurements: Height 5'11"/180cm, bust 32"/81cm, waist 25"/64cm, hips 35.5"/90cm, dress size US 0/2.